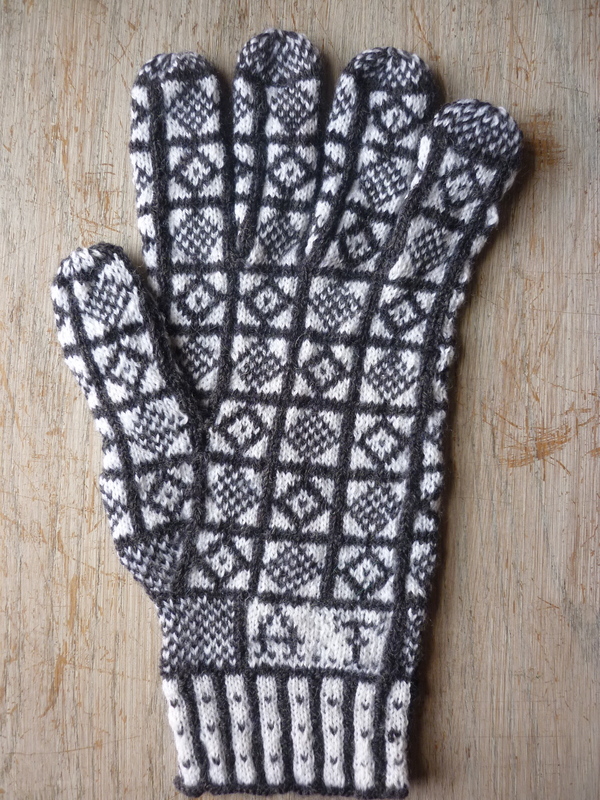 The gloves that started the project are now a pair. The initials are not the same as they were started by me and my daughter. They need to be washed and pressed really , the right one is rather crumpled up, but I wanted to get them up here before I go away. I’m in a real quandary about what to knit next and want to take a new pair away with me for long train journeys and so on, but am stuck on the colours. The vintage colours are a bit odd and the quantities are a bit short too. 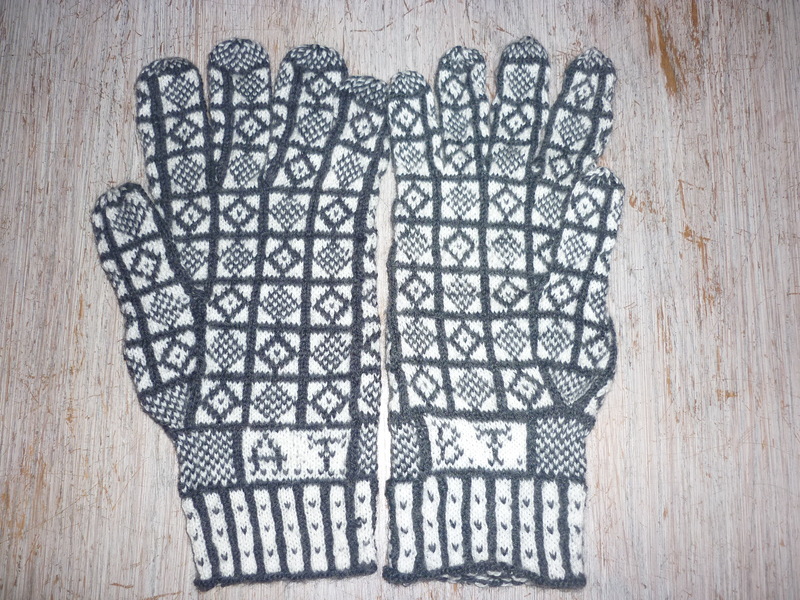 I just weighed my last pair, knitted from some vintage 3 ply and the two gloves are 60 grms… whereas 2 ounces is 56 grms. 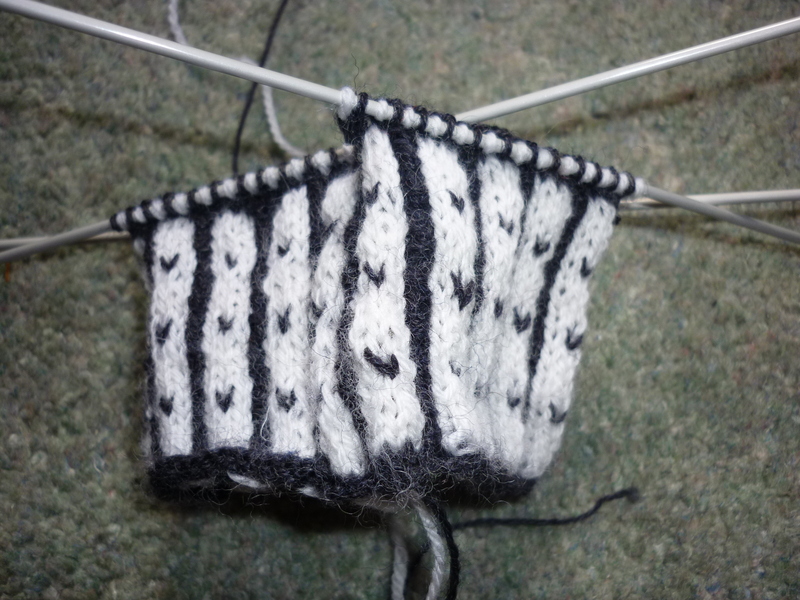 I wonder if i could just make the cuff a bit shorter so as to be able to get a pair from 2 ounces? 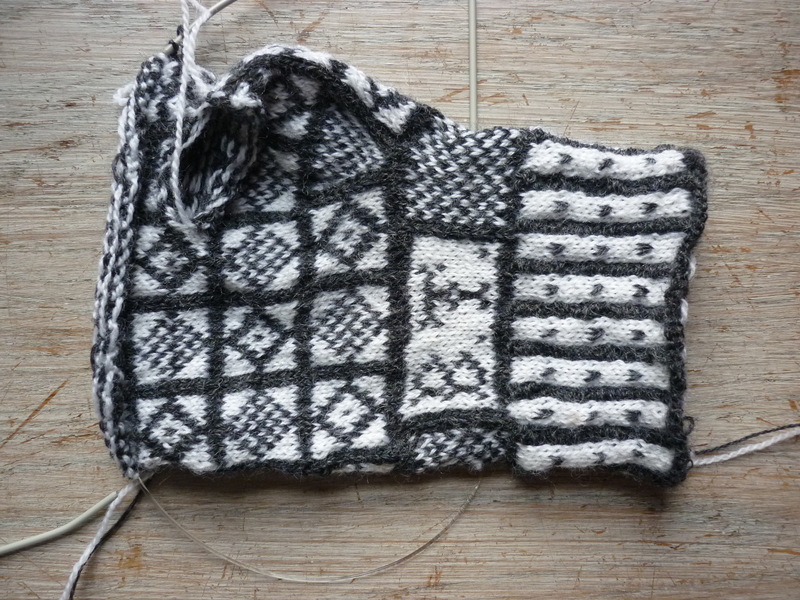 Well what between one thing and another, I haven’t had too much time to knit or blog in the last few days. 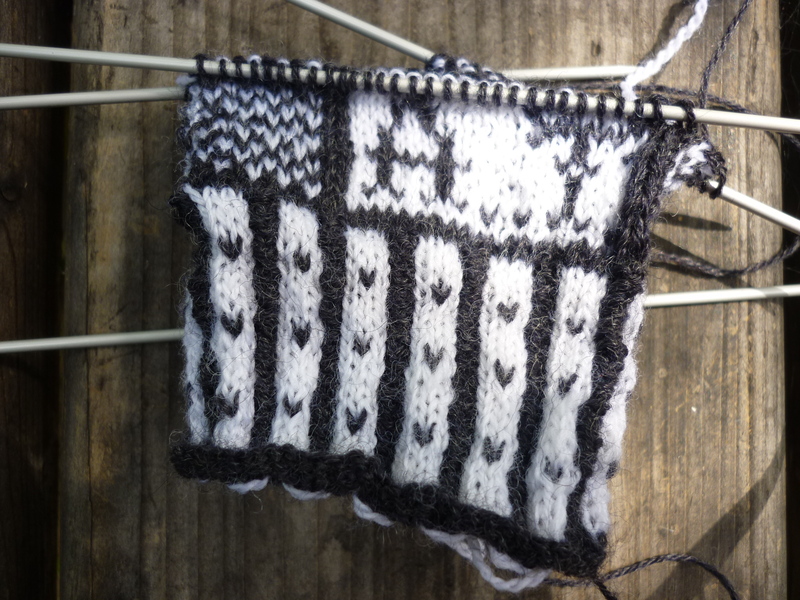 I’ve been knitting, trying to finish the Duke gloves, now on the fingers. 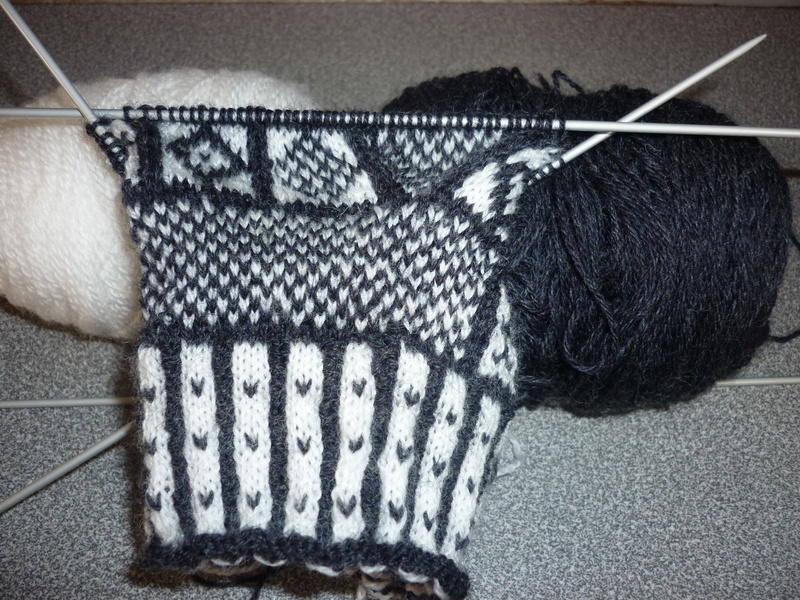 I’ve gone onto dpns as the circulars i’ve got in 2 mm are just too long. 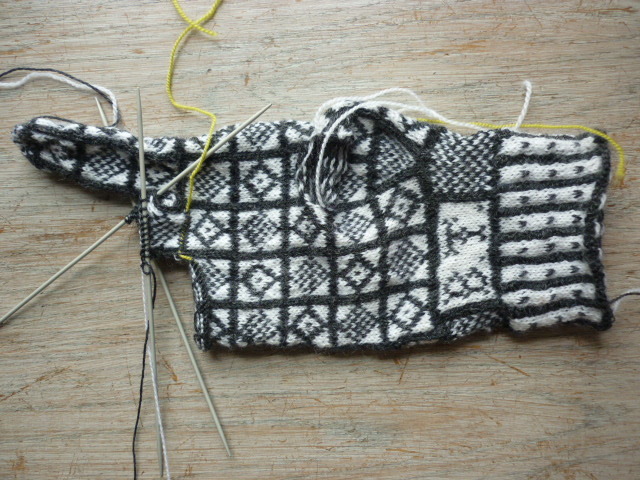 The pattern is easy to follow but even so the picking up is a bit tricky. 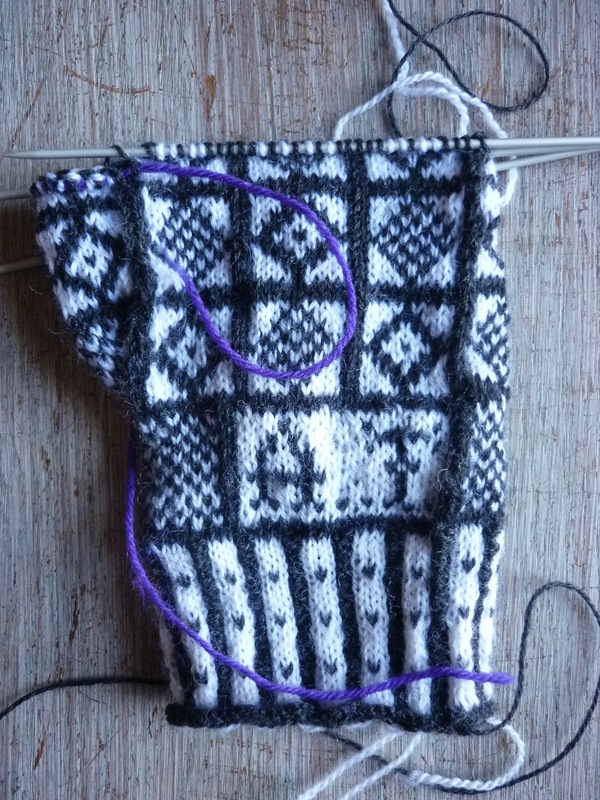 I’m knitting the second of the first pair I started with … my original idea was to have me and my daughter each knit one of a pair, keeping in touch via the blog. 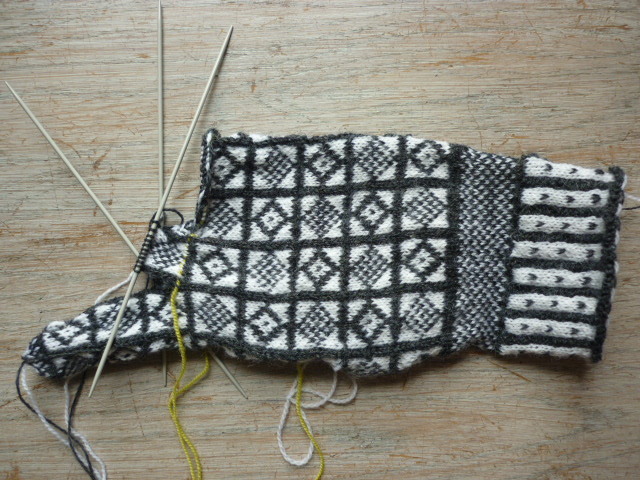 Anyway, it didn’t work out as it’s such concentrated work … so reluctantly she let me take the unfinished glove off her. 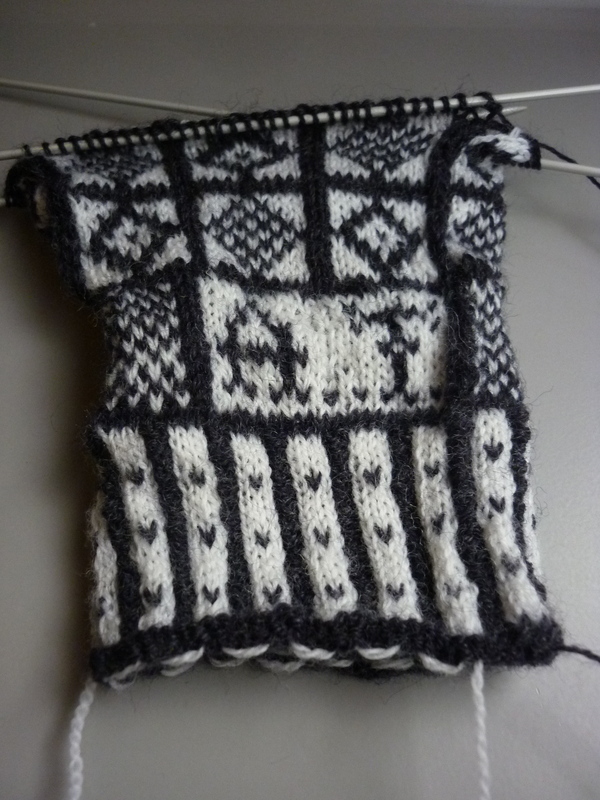 I’m not being very fast with it either but am moving up past the thumb. Here it is.